Discerning the Mystery: GLOBAL ASCENSION - Bizarre Energetic Waves Sweep Over the Earth; More Powerful than Waves of Past Years; What Could be the Cause? GLOBAL ASCENSION - Bizarre Energetic Waves Sweep Over the Earth; More Powerful than Waves of Past Years; What Could be the Cause? Whenever the topic of consciousness evolution is raised, something happens. Normally, the subjects of the spiritually significant and the scientifically profound are perceived to exist in two separate realities. To add, audiences who appreciate one of these subjects have a tendency to ignore the topics of the other. Yet when we receive real-world scientific verification of concepts which were previously only acknowledged in spiritual and esoteric circles, everyone pays attention. There have been a number of unmistakable and yet scientifically confounding cosmic events which have occurred over recent weeks and months. These cosmic events are often assumed to be the cause of the multitude of changes in weather patterns, geo-tectonic events, and overall conditions here on Earth. 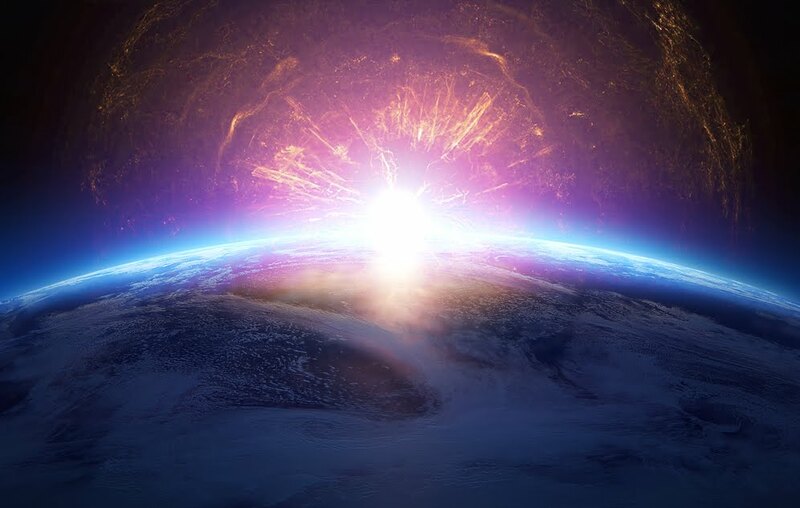 We could spend several days mulling through the innumerable incidents of what many call Earth changes which have occurred in recent years (which are not only Earth-based but are actually occurring throughout the solar system). Yet as interesting as this combination of topics might be, our discussion is slightly different than either. Rather, our discussion addresses a phenomenon which is so rare, that mainstream science has not yet developed the technology to sense it—at least not deliberately. Were it not for an instance of sheer luck, one particular satellite array may not have caught the event and the bizarre way in which this phenomenon swept over the entire planet. Between the dates of December 10th and the 13th of last year, one of the largest microwave phenomena ever recorded made itself known to low-orbiting satellite arrays. The origin of this energetic wave was unknown at the time and as of this moment, it still is. This mysterious planet-wide wave appears to have swept across the entire globe over the course of several days and yet despite its immense size and possible significance, this occurrence was not covered by any major scientific publication or media source. Even still, one Twitter personality took the initiative to bring this event to our attention. Around the date of December 13, the account which goes by the name, TheSharpEdge, published a short series of tweets which turned a number of heads in the alternative community. These tweets showcased data from the CIMSS (or the Cooperative Institute for Meteorological Satellite Studies) which actually revealed that the Earth had been inundated with a planet-wide microwave event of some kind during that time period. We can see the sign wave formation moving from the right side of the screen to the left over the three-day period. As we may know, the sign wave formation is what we get when we draw a circle (or an equatorial line) down the center of a sphere and then warp that sphere out into a rectangle. This is generally how maps like the above diagram are created. Though the map is missing the continent of Antarctica and the arctic circle, the depiction is largely consistent with a planar wave passing over the spheroid of the Earth. We can see the CIMSS data clearly on each of these respective satellite feeds. Though the image may be somewhat difficult to make out at first, there very clearly appears to be a sign-wave like formation moving across the surface of the planet (right to left). The lack of solar activity accompanying this wave occurrence suggests that this energetic event did not originate from the sun itself. Rather, the wave seems to have come from another location—perhaps far off in the galaxy. It has been theorized for some time now that these wave phenomena act as a mechanism which catalyzes certain energetic changes on our planet and throughout the galaxy. Further, these cosmic energetic changes lead to planetary changes, and such planetary changes may eventually lead to the massive alterations we see in the evolution of the various species living on the planet, according to modern astrobiological theory. These changes may also affect the way in which consciousness itself functions on the planets which are impacted by these energetic shifts. This is a subject of both ancient and modern significance. The concept known as the galactic super-wave has been a hot topic of conversation in recent times. The concept is directly related to scientifically verified energetic influxes which periodically engulf the Earth. These waves of energy (which include, but are not excluded to high-frequency microwave bursts) can either originate from distant locations within the cosmos or they can originate locally from our sun. These phenomena have been recorded at various points throughout history and are actually believed by some to hold spiritual significance. Scientific data even suggests the possibility that these galactic wave phenomena can be directly correlated with various key points in biological, economic, military, and sociopolitical history. This connection between physical energetic change and changes within collective society reveals to us the very strong likelihood that there is a higher significance to these energetic events for humankind than mainstream science has previously assumed. If we are able to grasp how impressive the scope and size of the above microwave burst event is, this is a positive step. Yet even as remarkable as it is to view through CIMSS data, we might be even more stunned to realize that this recent event was only one of many apparent cosmic microwave bursts. Perhaps one of the most interesting aspects of this cosmic wave phenomenon is that it appears to have happened multiple times before this recent event. Around December the 18th of 2016, an almost identical event took place in which a planet-wide influx of microwave energy swept across the entire surface of the Earth. This event was covered rather well by a number of online journalists and independent scientific researchers. One of these sources is a well-known YouTube researcher who goes by the name, Dutchsinse. As stated, the video displays the same data as our initial example but goes into more detail about the science behind the particular satellite/telescopic array which recorded this data. The telescopic data from CIMSS actually originates from the MIMIC-TPW (Morphed Integrated Microwave Imagery at CIMSS - Total Precipitable Water). This is an orbiting satellite system designed to record temperatures of water vapor over the Earth's oceans. As Dutchsinse states, this array was not designed to pick up cosmic energy. However, a stroke of luck allowed the array to record these massive planet-wide influxes of microwave energy (to restate). In addition to these two remarkable events, there have been at least two other similar global microwave influxes. Interestingly enough, at least two of these events occurred in the month of December. 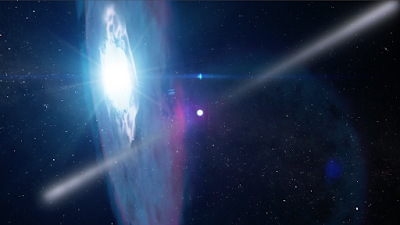 Some sources claim that these events were caused either by a pulsar or by what is known as a magnetar star. According to reports, mainstream scientists were quick to pat themselves on the back about their hypothesis and dismissed the matter after forming this explanation. However, as we know, reality does not always conform to our preconceived beliefs or understanding of the universe. In modern science, we might consider the enigma of the sudden leaps in evolution which can be clearly observed in Earth's fossil records. Most orthodox scientific models postulate that evolution occurs at random intervals and has no consistent catalyst. However, what if the catalyst for this mechanism was the universe itself? Research suggests that the universe evolves gradually for the majority of history, but every few thousand years, there are developmental leaps that can occur within this process. As this evolution occurs on the macro level, it catalyzes changes at smaller levels of scale, respectively. And as many independent researchers have acknowledged in recent years, human consciousness is believed to be a benefactor of this evolutionary boost. There is extensive research to examine on this matter, and we may attempt to tackle the subject at some point in the future. But for now, if anyone is interested in viewing what data has been compiled as of this moment, click here. This is where the spiritual significance meets scientific evidence and where we begin to find real verification of the relationship between evolution and cosmic energetic influxes. Though the truth on the matter has not yet revealed itself completely, we do have a solid base for our research endeavors to learn more about the energetic changes our planet is presently experiencing, as well as how these might impact life here on Earth. What if, similar to the way in which the ocean tide periodically rises to cover greater areas of land, the cosmos has its own forms of tidal ebbs and flows which periodically and cyclically increase the energetic consistency of a star system? If this is the case, the notion falls straight in line with the popular theory that energetic changes within our galaxy—and the organisms evolving within it—do not merely affect the way in which life evolves on one planet. Rather, the theory suggests that life evolved on one planet because the exact same process of cyclic energetic flow is happening on many planets at a macro-cosmic level. Evolution is likely happening on many different planetary bodies, not simply in our solar system, but on numerous planets throughout our galaxy and the universe. Though mainstream science laughed at the possibility up until around the year 2015 (during which the establishment did an instantaneous one-eighty and began promoting the notion of ET life), the possibility has always existed. According to the theory, evolution is occurring on many different planets specifically because life is a foundational, mechanical function of cosmic continuity. According to the popular spiritual and scientific theory, the universe—at some level—is conscious, evolving, and continuously expanding (and in some cases, periodically contracting). This evolutionary expansion is believed to be causing every variety of life to develop to greater levels of intelligence, physical prowess, and potential for consciousness expansion. This conscious awareness is said to exist everywhere and to be in a constant state of development, and because this consciousness is everywhere, every aspect of the cosmos holds the potential to progress to greater levels of awareness. If these theories hold true, it means that the cosmic energetic increases which we are currently witnessing may actually catalyze our own evolutionary development at every level—from the physical and material into the realm of consciousness and psycho-energetic development. This would also corroborate many ancient Native American and Eastern philosophies about the nature of the universe, the human condition, and the relationship between the two. In fact, we can study the numerous spiritual practices and disciplines of ancient knowledge recorded throughout history and find very similar concepts observed about the way in which the cosmos functions. The principle of a fundamental and intrinsic connection between all that exists seems to be a common belief among all major ancient spiritual systems of belief. If we were to assume that there was some connection between a higher and perhaps universal consciousness, we might expect to see some level of order not only throughout the cosmos (which we very much do) but the way in which these wave phenomena periodically contact a planet or star system. As a matter of fact, this order appears to be precisely what we see. Could there be some type of special cosmic significance to the winter solstice and/or the month of December which might result in a largely consistent wave phenomenon impacting our planet on repeated occasions? It could be that mainstream scientists were correct in defaulting to known phenomena as the cause of these energetic waves, at least at the time. However, the year 2004—at the time this topic of cosmic X-ray and gamma bursts was first discussed—was a year in which mainstream science was still cowering away from the topic of life on other planets. When we consider the fact that only in the last two years (from 2017 to present), virtually every aspect of modern physics has been brought into question. What if the physicists of 2004 dared to be as open-minded as modern mainstream scientific publishers? Would they have been so quick to come to their conclusion of pulsars or magnetars as the cause of recent wave activity? If so, this still would not explain the massive microwave phenomena which predictably occur during the December time-frame. We might remember the fear-mongering perpetrated by the corporate media and by Hollywood leading up to the year 2012. If so, we will recall how much effort certain interests put into scaring the public about a global catastrophe that would destroy the majority of life on Earth. See also - SECCHI Data Reveals Massive Solar and UFO Activity Along with Apparent Cover-Up - Could This Confirm Planet-Sized UFOs in Our Solar System? Obviously, we're still here, which means that the predictions which attempted to telegraph global destruction were not exactly on point. However, it does appear that there is some relationship between cosmic shifts and the month of December. Was it a mere coincidence that on multiple occasions, during the month of December (near the winter solstice), we witnessed bizarre cosmic microwave anomalies? As we'll remember, we had the planetary microwave event on the 16th followed by a never-before-seen seismic anomaly which occurred on the 20th and 21st. The seismic event was especially bizarre due to the fact that it was undetectable to actual humans and no visible damage was done. Yet dozens of seismographs around the world all detected massive earthquake activity at the exact same time. It was almost as though seismographs around the globe recorded a physical pole shift event that was undetectable to human beings. However, that is another exploration entirely. The alignment of the December solstice with these cosmic events seems to suggest some amount of validity to the accuracy of Mayan astronomers. Though we cannot accurately predict any of the events surrounding any end or beginning dates the calendar notes, it does appear the general dates hold a certain level of significance. The subjects within mainstream science and those originating from spiritual disciplines, at their surface, appear to have little to nothing in common. One consists of methodical examination while the other examines and disciplines the inner self on a personal and interpersonal level. Though these two paradigms share a common intellectual origin, they're assumed to be largely unrelated. It is very interesting to see these galactic waves occurring not simply once, but multiple times in a relatively short period of time. It is also highly noteworthy that we are seeing these events manifest around the exact same time that spiritual and alternative scientific theories proposed that consciousness expansion, planetary shifts, and various other monumental changes were to occur (circa 2012 to 2020). It is one thing to see these bizarre waves occurring at all; it is another experience entirely to see them now taking place in series. Just as various personalities have stated, these waves may begin occurring in more rapid succession until the process is complete. It could very well be that these cosmic events telegraph some massive culmination of cosmic and solar energies which could work together to catalyze evolution on Earth and every other planet where conditions are suited for life. This could explain the strangely increasing and seemingly cyclic events of microwave bursts which we have seen in recent months and years. Perhaps these energetic increases are the cause of the numerous Earth changes we have seen. These changes have ranged from minor incidents of unusual weather phenomena to fairly destructive natural disasters in various locations on the planet. Yet as seemingly daunting as they may be, these events may represent the gradual (and sometimes not so gradual) evolution of our planet itself. And of course, as our planet, our sun, and the entire cosmos evolves, we as passengers on this exciting ride hold the privilege of experiencing the journey.